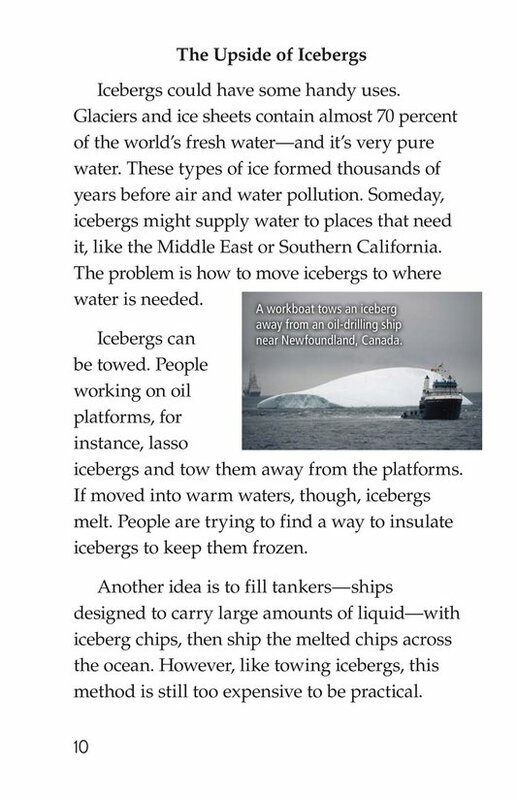 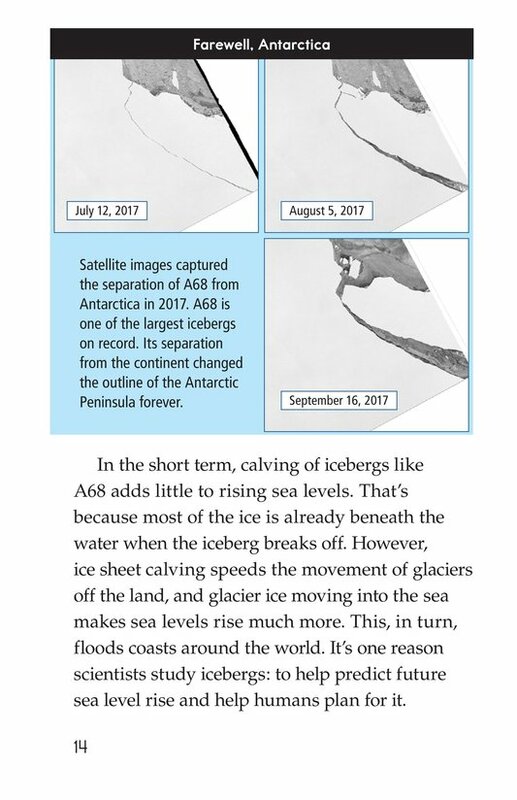 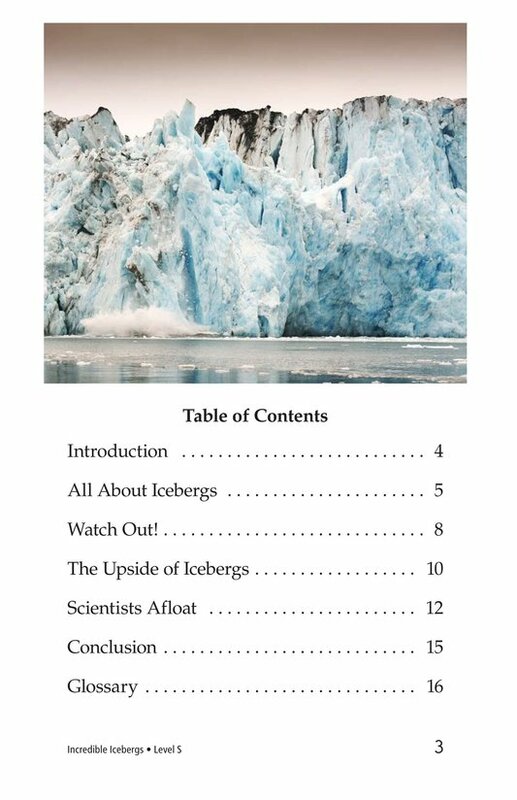 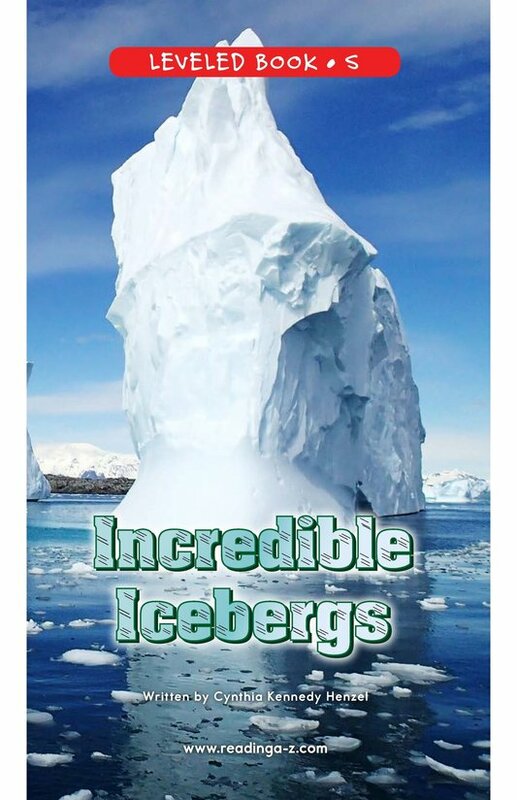 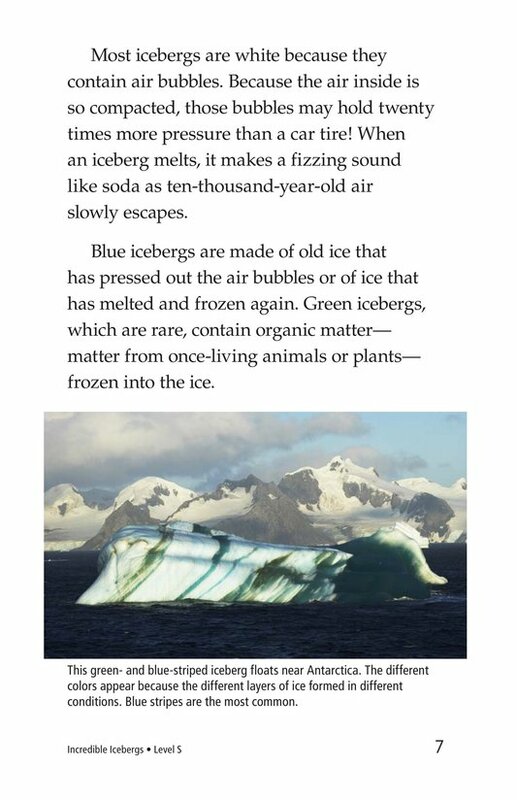 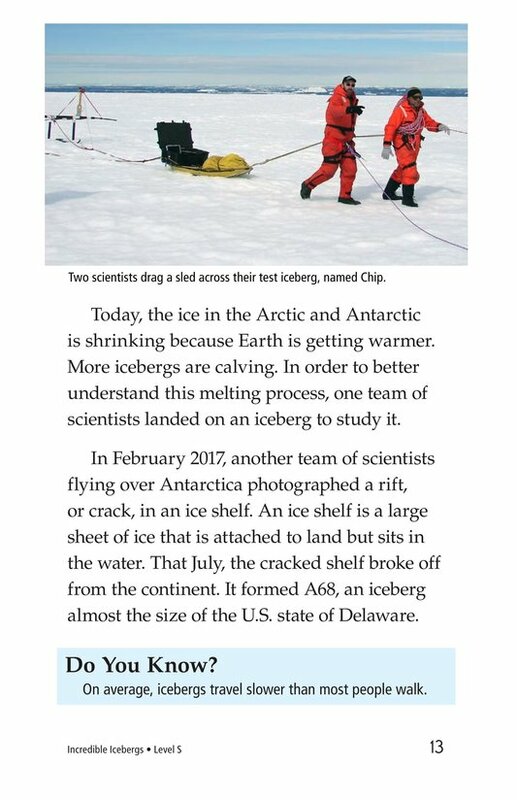 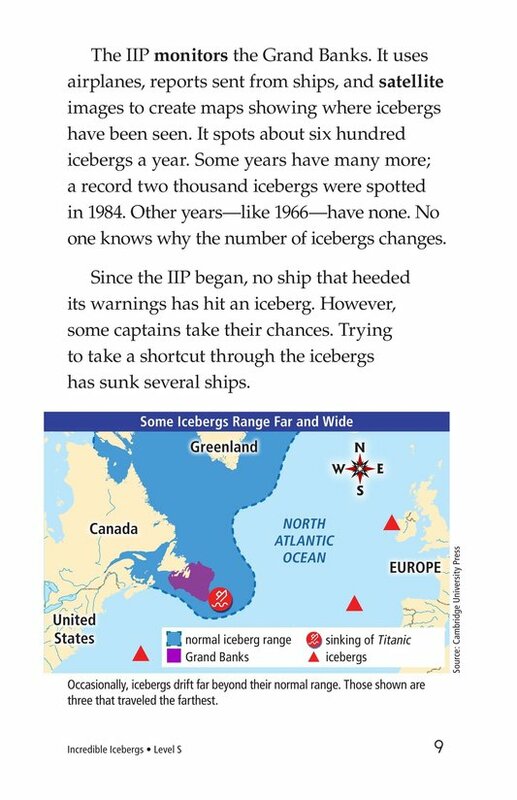 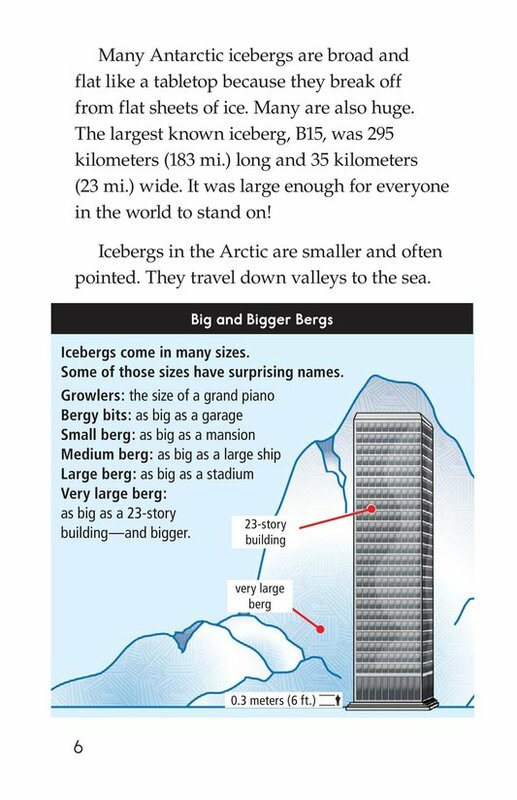 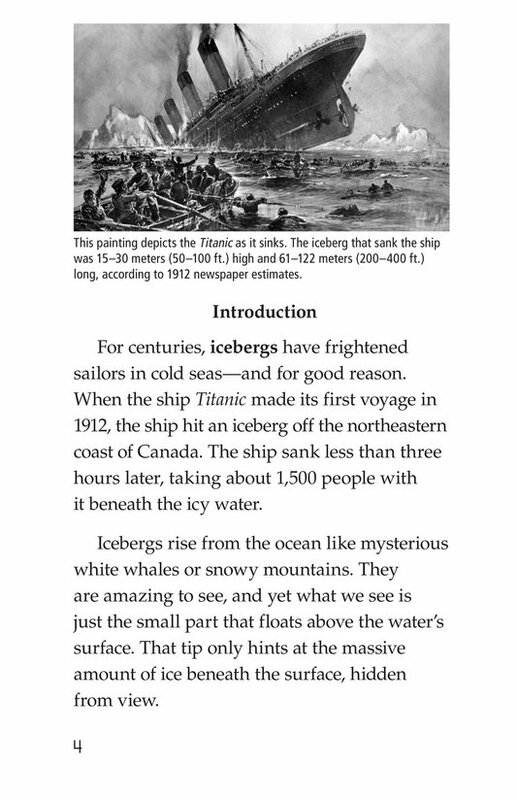 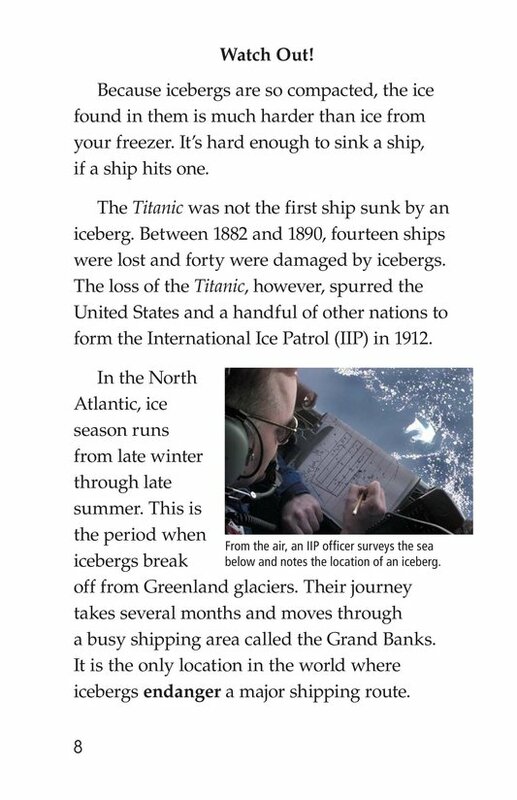 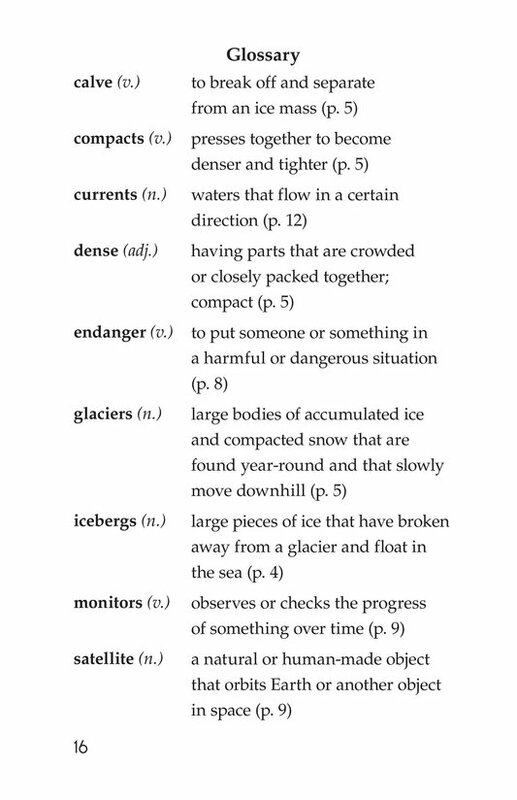 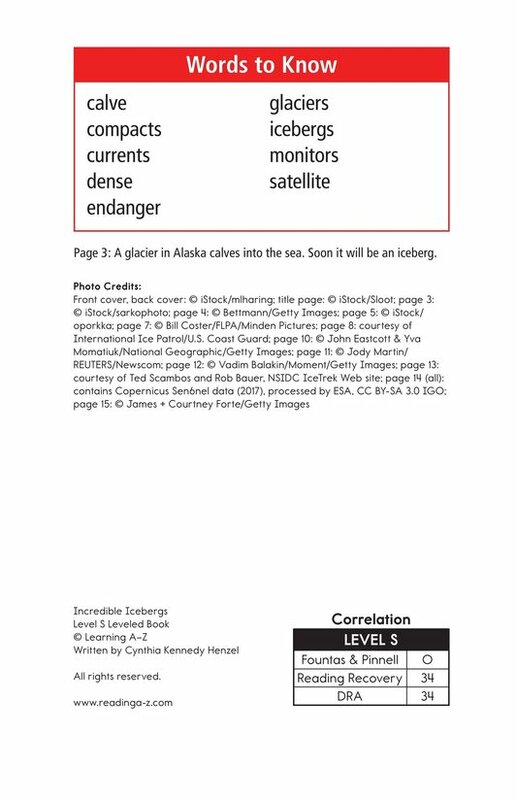 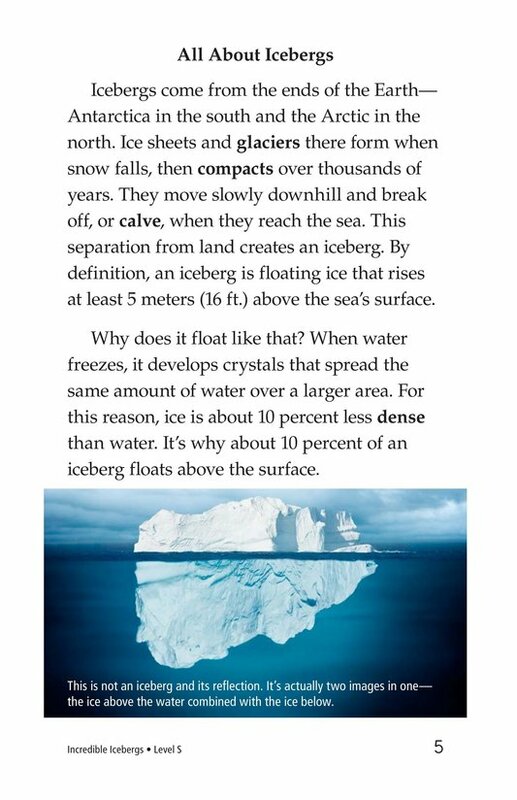 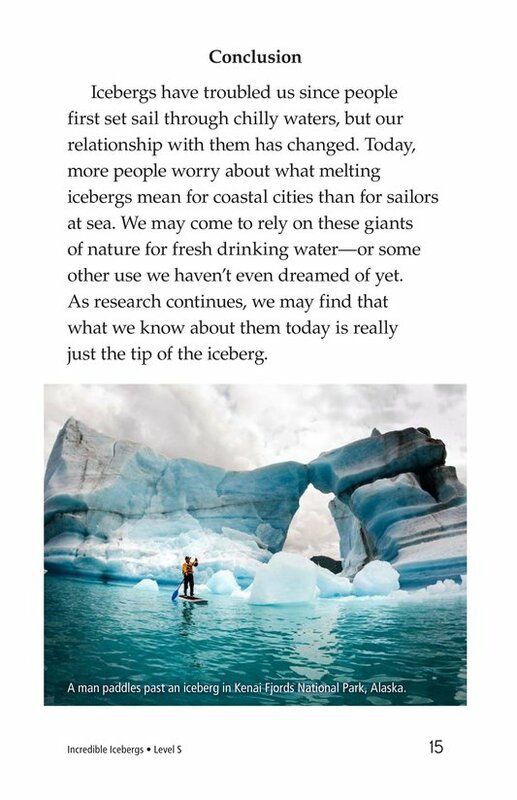 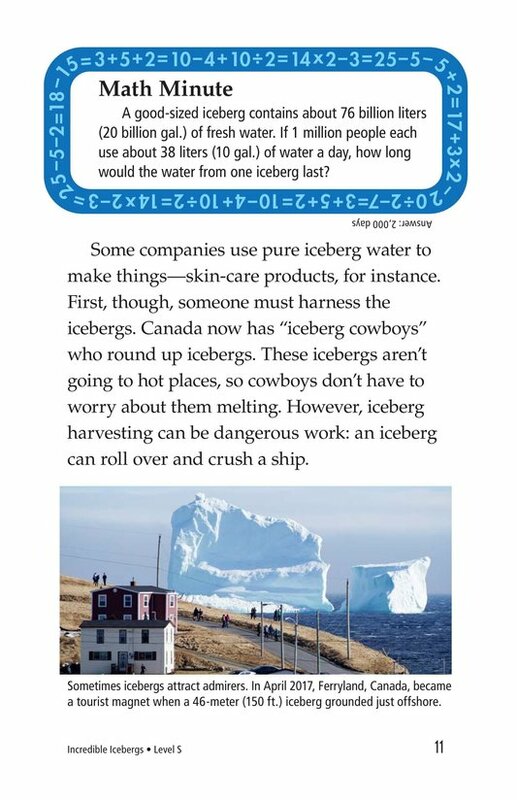 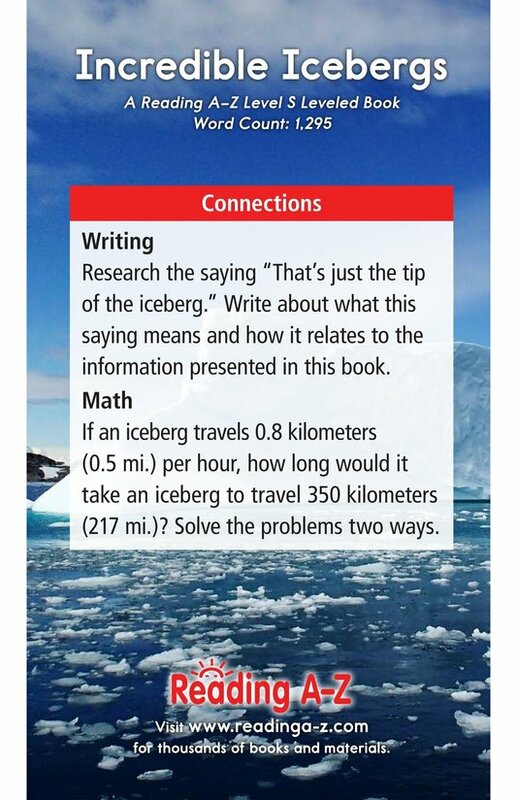 Incredible Icebergs is a nonfiction text that gives students more information about these mysterious and sometimes dangerous pieces of ice. 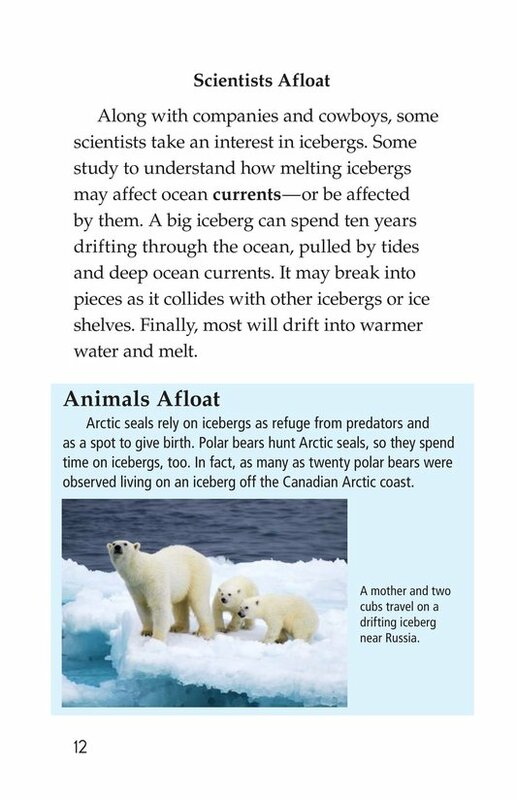 Engaging photographs and an unusual topic will capture students' interest. 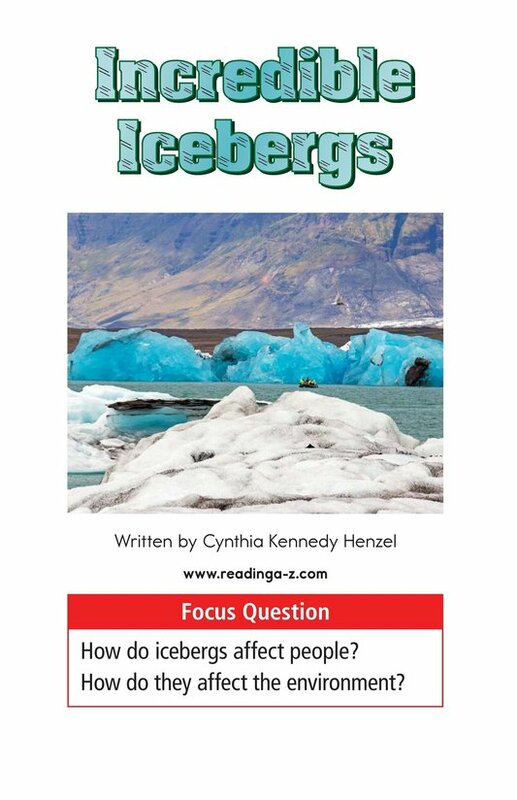 The book can also be used to teach students how to make inferences and draw conclusions as well as to summarize to better understand the text.